In 2006 Romney went on to stop the publication of an anti-bullying guide for public school students, because the term “bisexual” and “transgender” were used in a passage discussing harassment against students. These and other actions were a stark turnaround from when Romney had, in his Senate run in 1994, told gay activists that he was better on gay issues than Ted Kennedy, claiming to support an array of rights for gays and saying that his voice would have more weight on the issue than Kennedy’s. What seems clear now, looking at Romney’s record, in which he made a lot of promises to gays in those early years but never delivered, is that the pandering he did was to gay activists and the voters of Massachusetts, as the devout Mormon used that state as a stepping stone to the presidency. This. 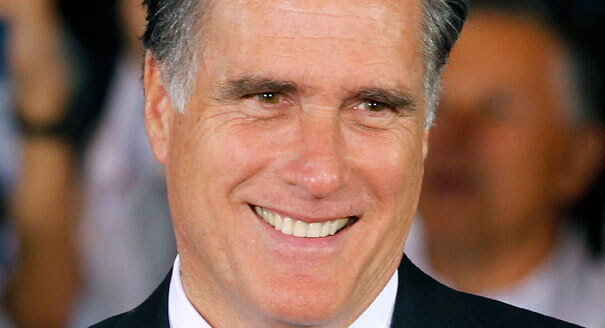 Romney’s constant verbal flip-flops and outright lying over the years make him appear to be a total panderer. But he isn’t. Look at his record, both in and out of public office. There’s the man. Bigoted. Cruel. Predatory.